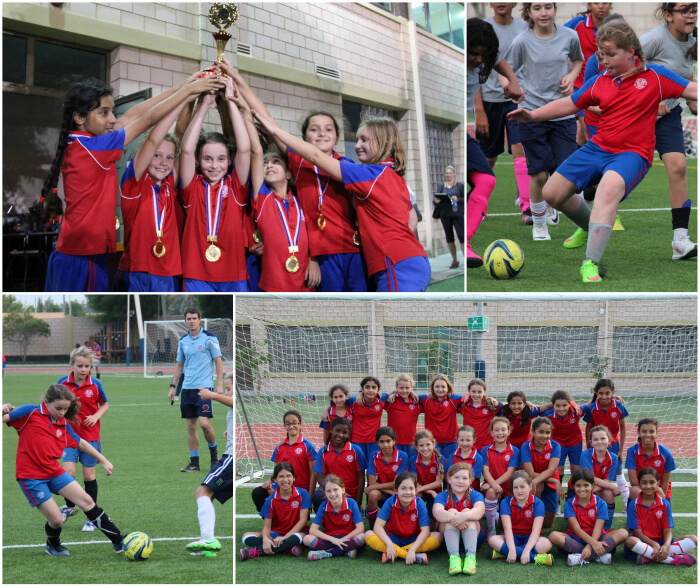 On 23 November our Year 5 and 6 Girls Footballers entered a tournament consisting of 11 teams from around Bahrain. It was the first time St Chris has entered 3 teams and all 3 played some storming matches! With Mr Maye and Mrs Lodwig at her side, Miss Lambert felt confident that all the girls would be able to play at their best! The previous week we had had a friendly match against BSB and lost 9-1. However, in true St Chris style, our girls saw that as a challenge and entered the competition with fierce determination. 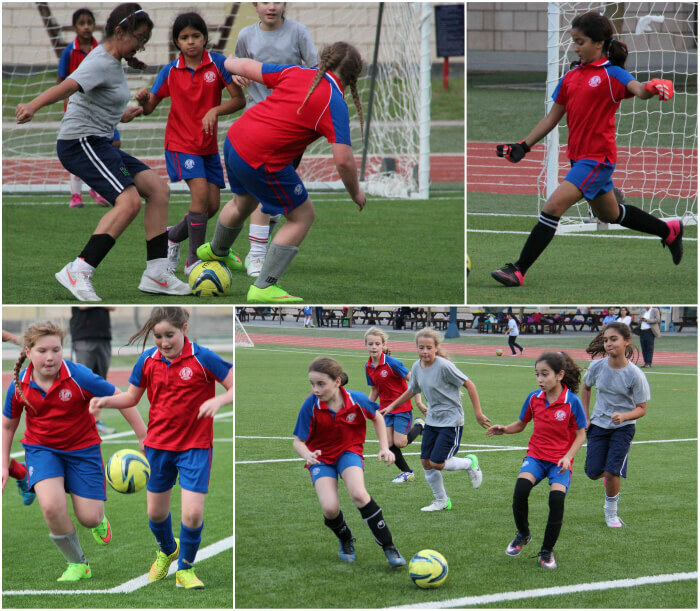 There was some fantastic tackling and some great defending from Ferne Wilkins and Maryam Berri, while Aaliyah Arab, Asma Khan and Haya Al Nusuf performed some tricky saves! The rest of the team gave it their all, tackling and dribbling like the best of them! After some tough matches, it was St Chris A team that got through to meet BSB in the final. Having lost to them the previous week did not phase St Chris, it just made us more determined! A fantastic goal from Talia Al Hamar gave us a 1-1 draw at the end of time and it stayed that way through extra time. This meant the daunting prospect of penalties. Maryam Berri, Talia Al Hamar and Leena Makhdum stepped up and did not disappoint! They scored all 3 penalties and with BSB missing one, we finished the tournament as champions! Well done to all 3 teams! You were fantastic!